John Hynes has already received plenty of early attention as a possible Jack Adams Award winner for his work with the New Jersey Devils. Montreal Canadiens coach Michel Therrien also has to be on that list, along with Dallas Stars coach Lindy Ruff. The Washington Capitals’ Barry Trotz also should to be among the favorites for coach of the year. The class of deserving candidates is large. 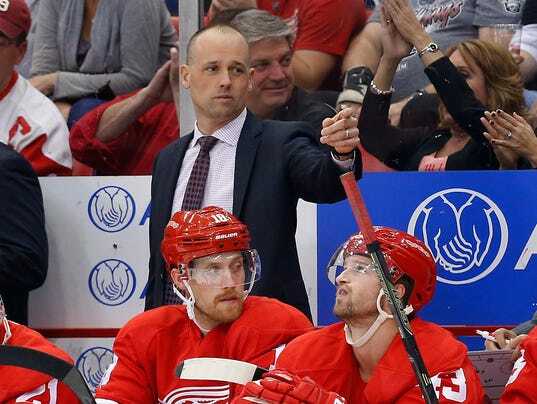 But my pick goes to Detroit Red Wings first-year coach Jeff Blashill. Blashill’s first NHL head coaching job comes with overflowing pressure, and somehow he has managed to guide the Red Wings to the seventh-best record at 14-8-4.